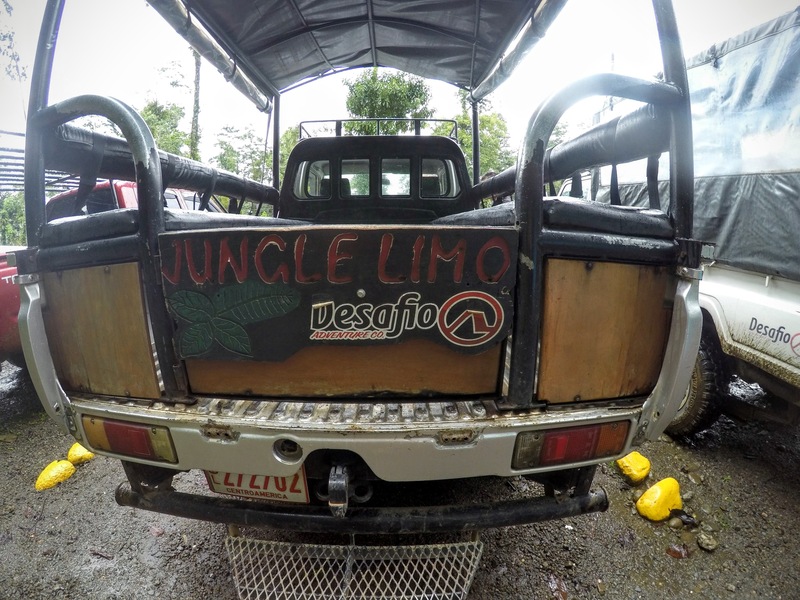 Today I wanted to post about an amazing day I had in Arenal – Costa Rica with the Desafio Adventure Company. 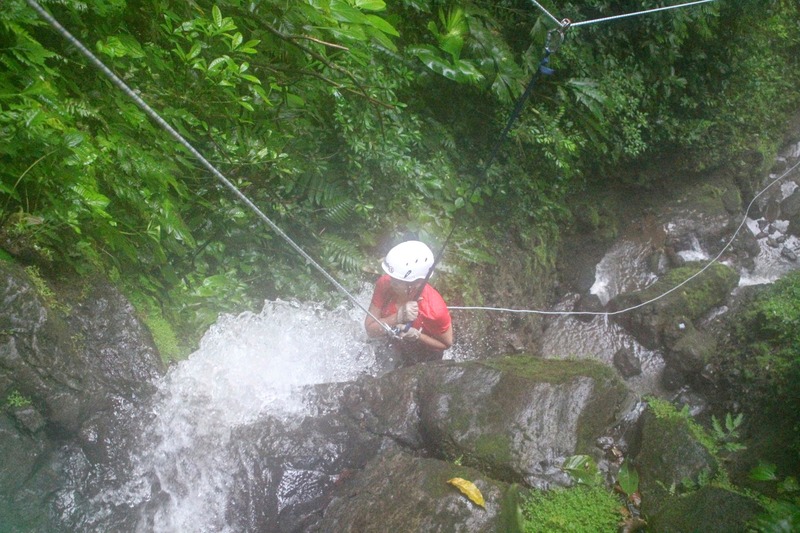 Just to give you an introduction, Arenal is a cloud forest located in the north west region of Costa Rica. I had the privilege to enjoy a bunch of adventurous activities here with Desafio. 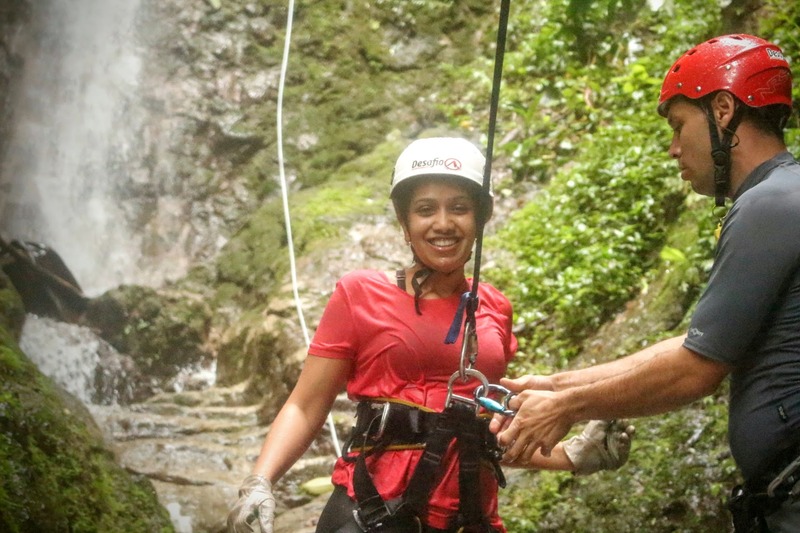 We joined Desafio for their Rappelling and Canyoning adventure. The activity started with a hotel pickup in the morning around 7 AM. We were picked up in a nice air conditioned bus from our hotels. 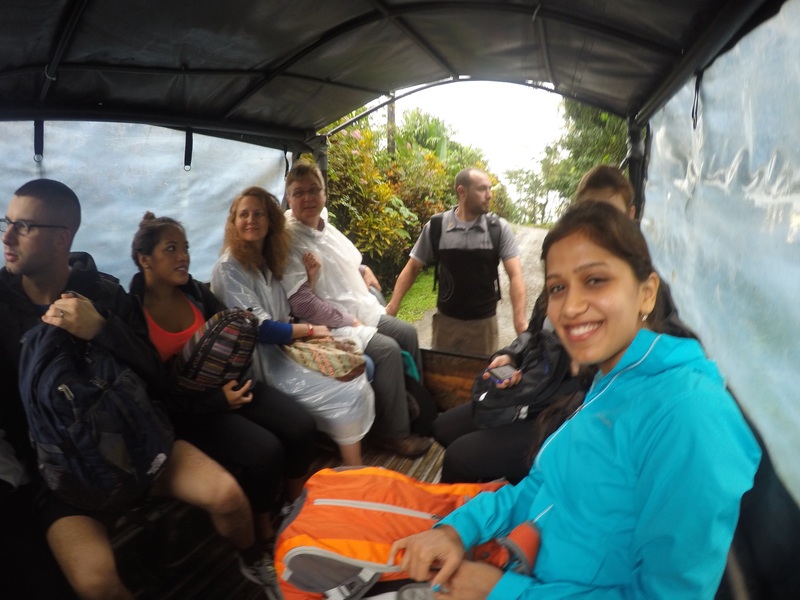 The bus took us to a location from where we switched into another vehicle more suited to travel a couple of kilometers on a dirt road. 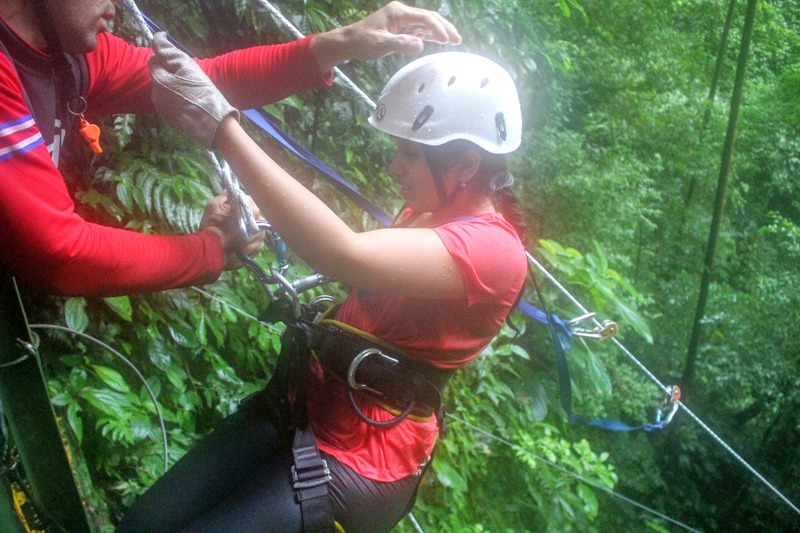 Once we reached our destination, we were given our harnesses and gloves for our activity. 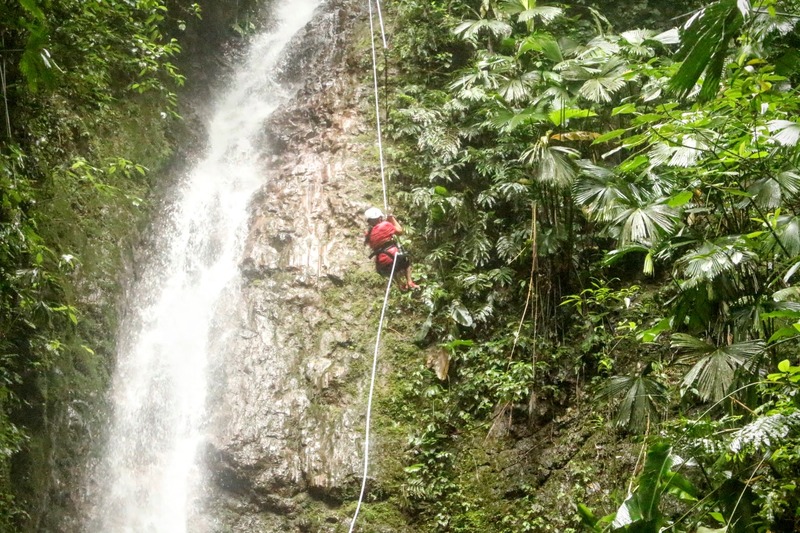 Then the same van took us near the waterfalls where we hiked a couple of kilometers and started rappelling. Our Instructor was really friendly and gave us clear instructions on how we should be positioning our bodies, feet and holding the ropes. He even gave us a sample demo while we were waiting. 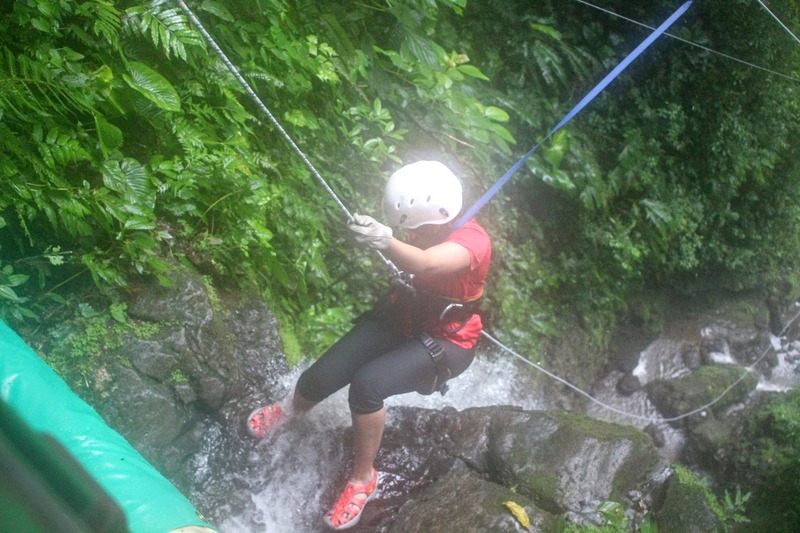 Now onto the fun part, we rappelled the first waterfall. There were 3 in total increasing gradually in size. 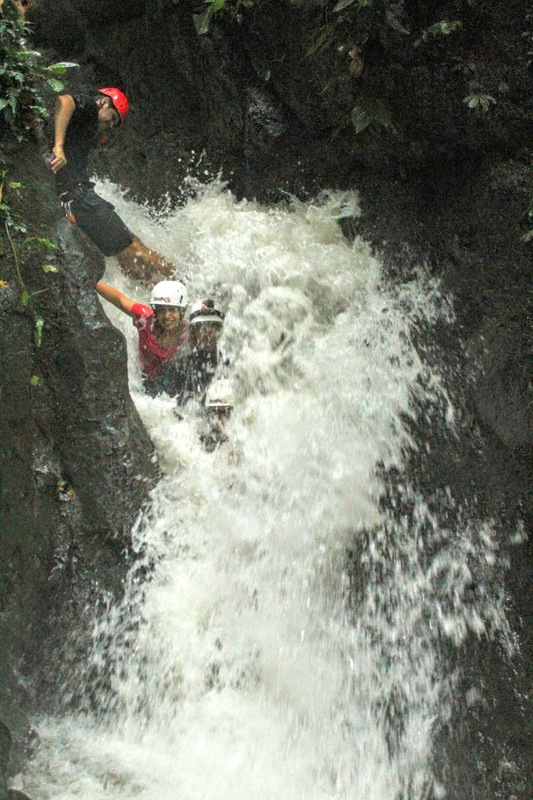 There is also a point where you are made to jump into a 7 feet pool of water – what an adrenaline rush. The instructors were available to assist and guide us throughout the activity and made it a lot of fun. This was a small practice waterfall before we went on to rappell the higher ones. The instructors were with us all along motivating us. I was really nervous at first, but once you complete the activity, it feels amazing :). 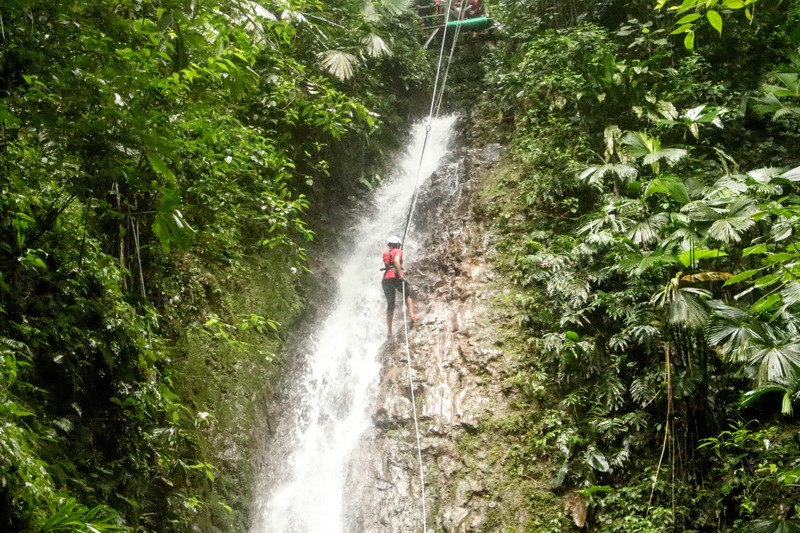 This was the most difficult waterfall of the 3 and the most fun. As you can see it’s much bigger and higher. The waterfall was 200 meters high and we swayed to the bottom. It was an amazing experience. 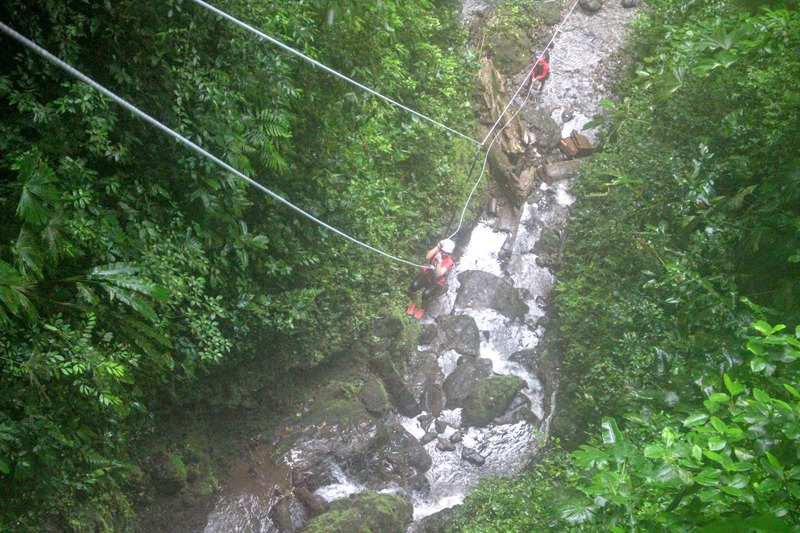 Next up, we were dropped back to our hotels and were picked up after an hour for Zip-lining. 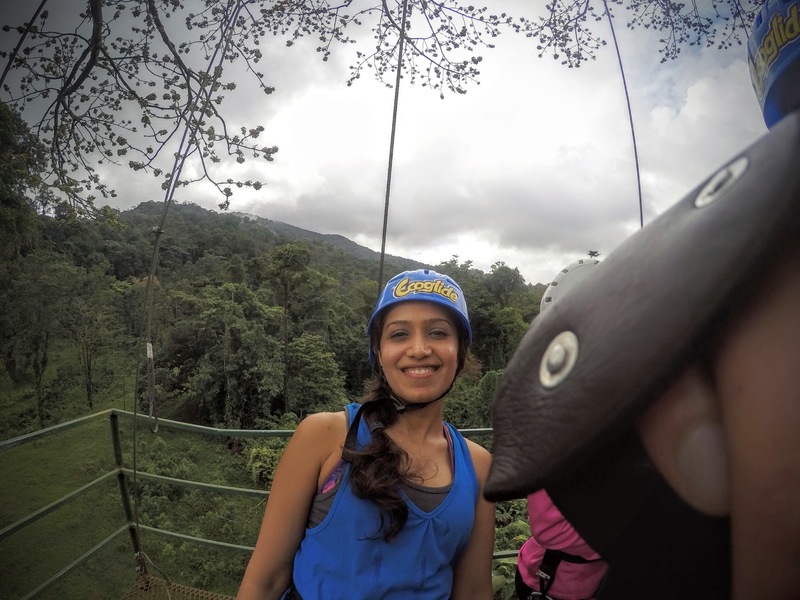 I believe we did a total of 16 Zip-lines including a Tarzan swing (look at the video in the end, to see how cool it was). 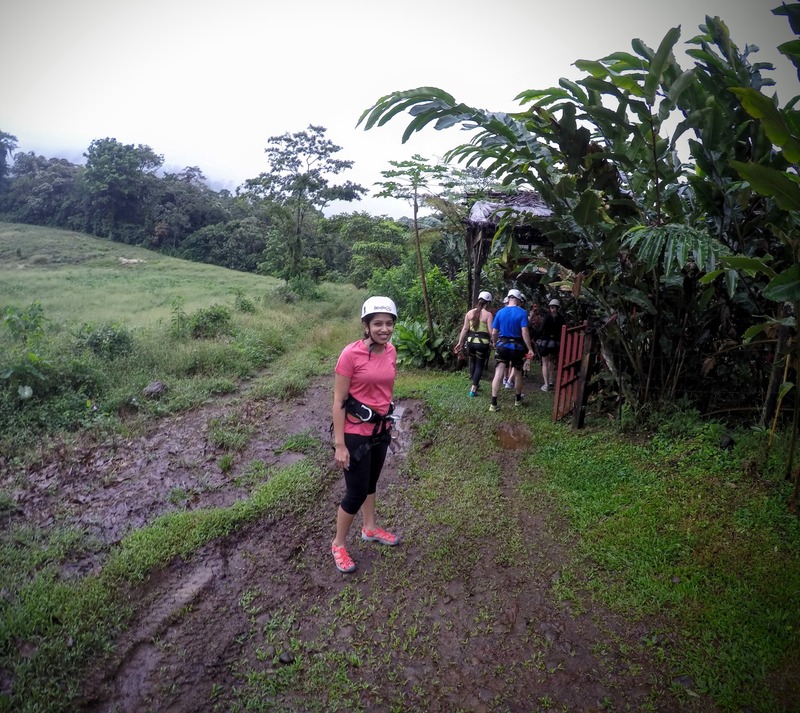 It was a lot of fun with some amazing views of Arenal and the cloud forest. I wish I could go back again. Thank you Desafio for making this one heck of an adrenaline rush. 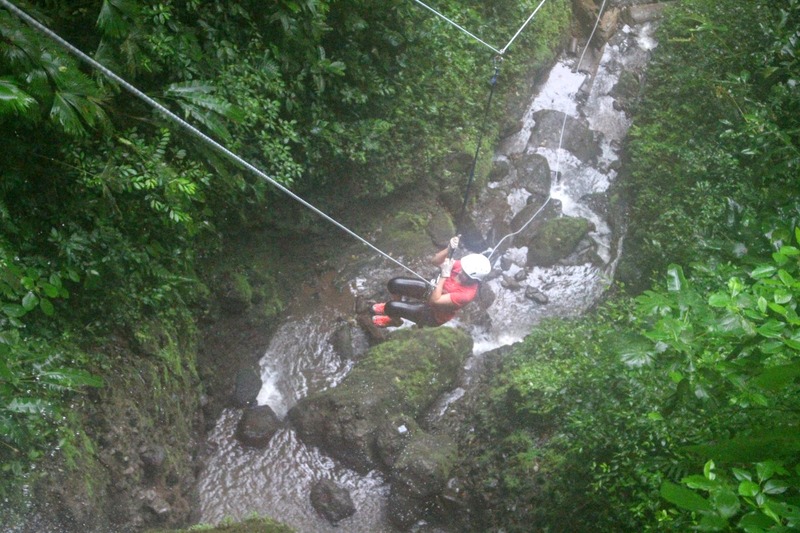 I would highly recommend you to contact the Desafio Adventure Company for organizing all your activities in Costa Rica. Here is the link to all the combo tours on their website. Looks super fun and adventurous. Great job. Oh wow!! It seems like you had a great time doing all those adventures. I wanna try them too. Hehe! 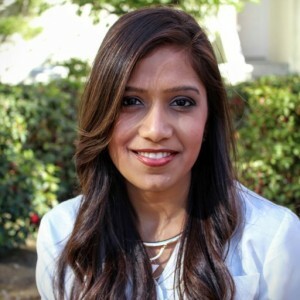 Love all the pictures! 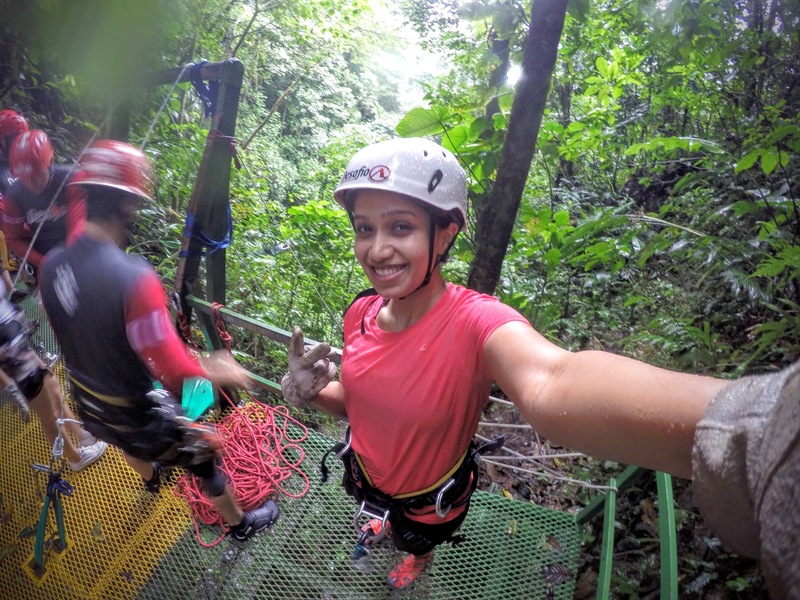 Quite an adventure Ankita! Amazing experience indeed! We did the same adventure and it was awesome! Looks like you had a great trip!